In a bold act of conscience, Republican Senator Jeff Flake takes his party to task for embracing nationalism, populism, xenophobia, and the anomalous Trump presidency. 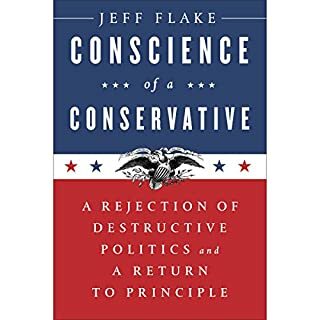 The book is an urgent call for a return to bedrock conservative principle and a cry to once again put country before party. By: William F. Buckley Jr. This is the book that launched William F. Buckley, Jr.'s career. As a young, recent Yale graduate, he took on Yale's professional and administrative staffs, citing their hypocritical diversion from the tenets on which the institution was built. 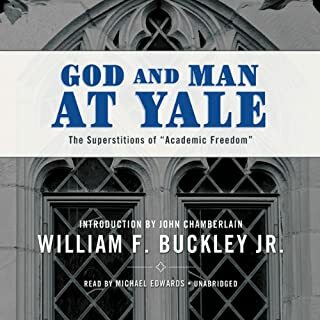 Yale was founded on the belief that God exists, and thus that virtue and individualism represent immutable cornerstones of education. However, when Buckley wrote this scathing expose, the institution had made an about face. 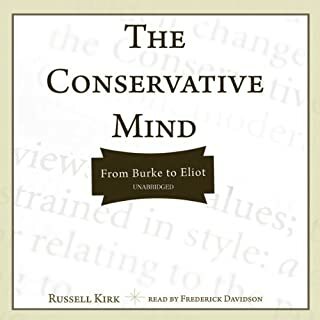 Kirk defines "the conservative mind" by examining such brilliant men as Edmund Burke, James Fenimore Cooper, Alexis de Tocqueville, John Quincy Adams, Nathaniel Hawthorne, Benjamin Disraeli, Cardinal Newman, George Santayana, and finally, T.S. Eliot. Vigorously written, the book represents conservatism as an ideology born of sound intellectual traditions. Unfreedom of the Press is not just another book about the press. 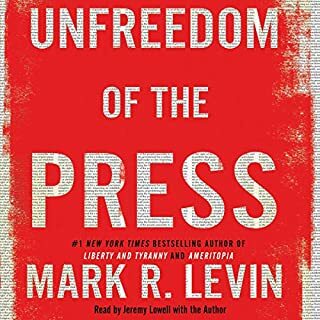 Levin shows how those entrusted with news reporting today are destroying freedom of the press from within: “not government oppression or suppression,” he writes, but self-censorship, groupthink, bias by omission, and passing off opinion, propaganda, pseudo-events, and outright lies as news. Hailed by Thomas Jefferson as “the best commentary on the principles of government which was ever written,” The Federalist Papers is a collection of eighty-five essays published by Founding Fathers Alexander Hamilton, James Madison, and John Jay from 1787 to 1788, as a means to persuade the public to ratify the Constitution of the United States. 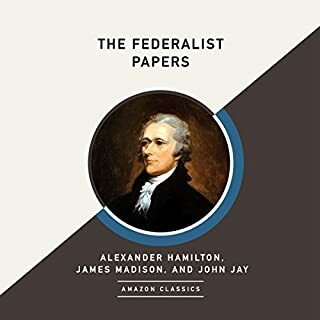 With nearly two-thirds of the essays written by Hamilton, this enduring classic is perfect for modern audiences passionate about his work or seeking a deeper understanding of one of the most important documents in US history. From an award-winning historian and regular Fox contributor, the true story of how Donald Trump has become one of the most successful presidents in history - and why America needs him now more than ever. An unimpeachable classic work in political philosophy, intellectual and cultural history, and economics, The Road to Serfdom has inspired and infuriated politicians, scholars, and the public for half a century. Originally published in 1944 - when Eleanor Roosevelt supported the efforts of Stalin, and Albert Einstein subscribed lock, stock, and barrel to the socialist program - The Road to Serfdom was seen as heretical for its passionate warning against the dangers of state control over the means of production. Milton Friedman and his wife, Rose, teamed up to write this most convincing and readable guide, which illustrates the crucial link between Adam Smith's capitalism and the free society. They show how freedom has been eroded and prosperity undermined through the rapid growth of governmental agencies, laws, and regulations. In 1831, Alexis de Tocqueville, a young French aristocrat and civil servant, made a nine-month journey through the eastern United States. The result was Democracy in America, a monumental study of the strengths and weaknesses of the nation’s evolving politics. His insightful work has become one of the most influential political texts ever written on America. America emerged from Franklin Roosevelt's New Deal with strong democratic values and broadly shared prosperity. But for the past 30 years, American politics has been dominated by a conservative movement determined to undermine the New Deal's achievements. Now, the tide may be turning, and in The Conscience of a Liberal Paul Krugman, the world's most widely read economist and one of its most influential political commentators, charts the way to reform. A must for anyone interested in U.S. politics. Marxism is a term that many people freely use, but few seem to grasp its implications. Sowell's book is the antidote to this problem. He writes in a fluid and easy-to-follow manner, leading the listener through the Marxian scheme of ideas. Along the way, he shatters some existing interpretations of Marx-interpretations that have developed through repetition rather than through scholarship. A must read, but a hard one! First published in 1859, John Stuart Mill's On Liberty is an exhaustive exploration of social and civic liberty, its limits, and its consequences. Mill's work is a classic of political liberalism that contains a rational justification of the freedom of the individual in opposition to the claims of the state. The host of Fox News Channel’s Tucker Carlson Tonight offers a blistering critique of the new American ruling class, the elites of both parties, who have taken over the ship of state, leaving the rest of us, the citizen-passengers, to wonder: How do we put the country back on course? The Diversity Delusion argues that the root of this problem is the belief in America’s endemic racism and sexism, a belief that has engendered a metastasizing diversity bureaucracy in society and academia. Diversity commissars denounce meritocratic standards as discriminatory, enforce hiring quotas, and teach students and adults alike to think of themselves as perpetual victims. Combining personal reflection and social observation, Bret Easton Ellis' first work of nonfiction is an incendiary polemic about this young century's failings, e-driven and otherwise, and at once an example, definition, and defense of what "freedom of speech" truly means. Discrimination and Disparities challenges believers in such one-factor explanations of economic outcome differences as discrimination, exploitation, or genetics. It is listenable enough for people with no prior knowledge of economics. Yet the empirical evidence with which it backs up its analysis spans the globe and challenges beliefs across the ideological spectrum. Thomas Sowell is a national treasure! It is the basic philosophy not only of the senator from Arizona, but a constantly growing number of Americans dissatisfied with an ever-expanding welfare state and a compromising foreign policy. This record is a narrative of the Goldwater political phenomenon. It includes recorded statements about Barry Goldwater as well as Actual excerpts from the senator's own speeches. 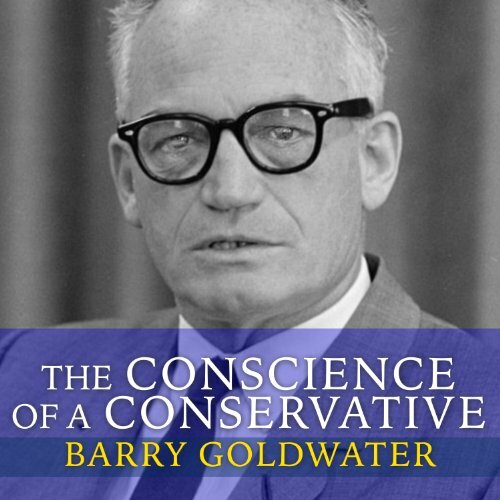 When it was first published, The Conscience of a Conservative reignited the American conservative movement and made Barry Goldwater a political star. It influenced countless conservatives in the United States and helped to lay the foundation for the Reagan Revolution in 1980. Just as vital today as it was then, this book addresses many topics that could be torn from today's headlines. Goldwater discusses education, labor unions and policies, civil rights, agricultural policy and farm subsidies, social welfare programs, and income taxation. This significant book lays out the conservative position both politically and economically that would come to dominate the Conservative Movement in America. Goldwater is significantly underrated as an American Statesman. History now tells us that Goldwater's stance on Communism and particularly, Soviet relations was not as radical as it may have seemed to Americans in the early 60s. Painted (unfairly) in the 1964 election as a war monger, Goldwater's cold shoulder to the Soviets may have brought an end to the communist rule of the eastern bloc nations much earlier. It would be 20+ years before Reagan would tell Gorbachev to "tear down this wall". But perhaps Goldwater would have said this in the mid-60s instead. Goldwater's economic views are SPOT on, and had the conservative views been used in the late 60s and early 70s - the inflationary mess of the late 70s/early 80s may never have come to fruition. Count me as a fan of Goldwater. His views would work well for our nation today. This book should be required reading. His book foretold the presidency of Reagan and the positive results. I'm a democrat, but Goldwater was correct. Every word. The book was short, but powerful. No filler. This is a political text, not a story. I don't agree 100%, but such a refreshing view on politics this is! It's not politically correct and it's not phony. However his attitude on nuclear weapons is misguided at best, psychotic at worst. Nevertheless, he makes many very salient and material points even to this generation. Many of the issues we face today are almost identical, although the major players are different. This book really makes you think about the rule of law and the importance of principled domestic and foreign policy. I do not consider myself a conservative but I really do want to know the other side. This book explains in a lot of detail the conservative point of view away from the arguing talking heads of the 24hr news cycles as well as the crazy voices of talk radio. This book is as true then as it is now. I encourage everyone to read this. I first read this book when it was published in 1960. At that time Goldwater was considered the far-right wing of the republican party. I found it fascinating to reread this considering all the changes that have occurred since 1960. Goldwater is now considered too liberal for the conservative party. Many of the methods Goldwater sited for reducing government were found over time not to work and many of his other ideas and beliefs were proven not workable. To be fair some ideas did work successfully. I was appalled at his stand on civil rights. He refusal to accept Brown v Board of Education. He also did not think the federal government should be involved in education or welfare. The book was well written and easy to read. The book was actually written by Goldwater’s speech writer, L. Brent Bozell. Bozell was William F. Buckley’s brother-in-law. Most of the book is dated. I found it helpful to take a step back in time and review how much the pollical parties have changed since 1960. Maybe it is time for the parties to re-evaluate themselves considering the extreme divide in the country today. Maybe it is time to return to the middle. The book is very short at almost three hours. Johnny Heller does an excellent job narrating the book. Heller is a voice-over artist and award-winning audiobook narrator. He was Publisher Weekly’s best audiobook narrator for 2008, 2009, and 2011. Heller won the Listen-up Award in 2008 to 2013 and was an Audie Award Nominee in 2014. Quite the interesting read and rare insight. it was quite curious reading and listening to this particular take on conservativism. this particular book help to touch on many of the current policies that America has strayed so very far away from yet current leaders are trying to re-enact and deeply push for. 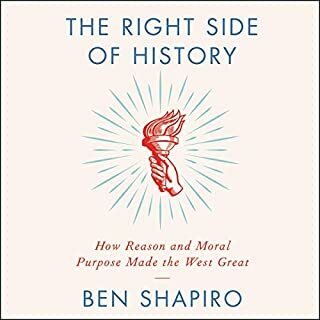 if you are curious with the Playbook is for current active conservatives you might want to listen to this regardless of your political standing. Filled with great advice. I can see where President Reagan might have gotten ideas on how to win the cold war. It also seems very likely President Trump or his advisors have read the book or listened to the audio. I see a lot of Trump's policies possibly coming from Senator Goldwater.